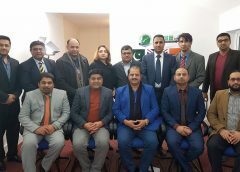 Bradford: Pakistan Press Club UK was established to safeguard rights of the journalists so that the colleagues working practically in the field could have a real platform to solve their problems. Despite hardships elections were held regularly in the last eight years and the office-bearers were elected democratically. It is an honour for me that I was elected as president in elections held in October this year. 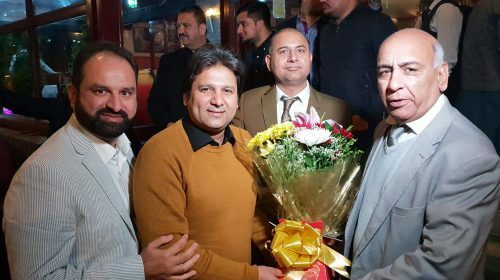 I am thankful to all my colleagues for reposing confidence in me. 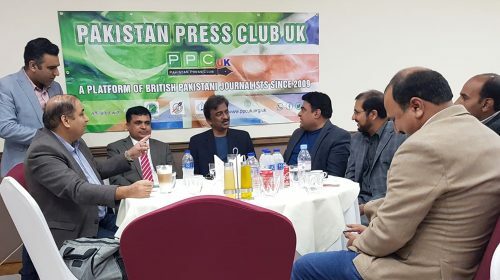 These views were expressed by the newly-appointed PPC UK President Arshad Rachyal at a dinner hosted by journalist Haji Zulfiqar Ahmad, in his honour. “I am a professional journalist doing practical work in the field. I am well-aware of the needs and problems the journalists are confronting with,” Rachyal said. 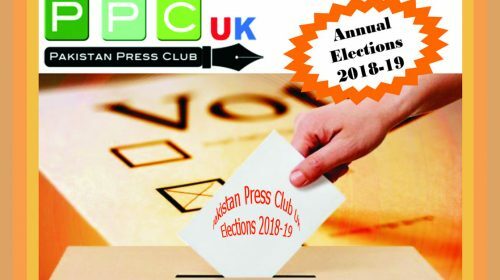 He added that due to the collective efforts of PPC UK members, a historic agreement was signed with Pakistan Press Club Islamabad under which all the members could enjoy the same perks and privileges the PPC Islamabad had offered to its own members, except the right to vote. 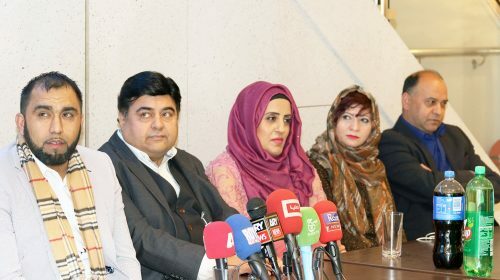 It is a good omen for the journalists residing in UK, Rachyal said. 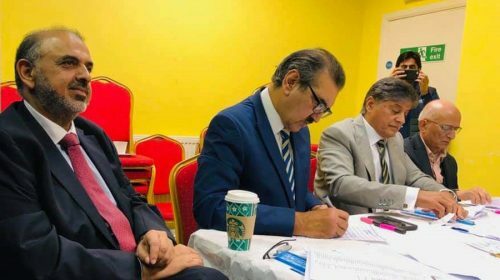 He said that all members of PPC UK could benefit from that. 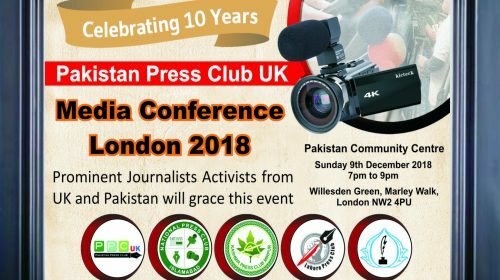 PPC UK president said that the Press Club was a registered organization and its all rights were reserved. So no one could befool people by using its name wrongly. 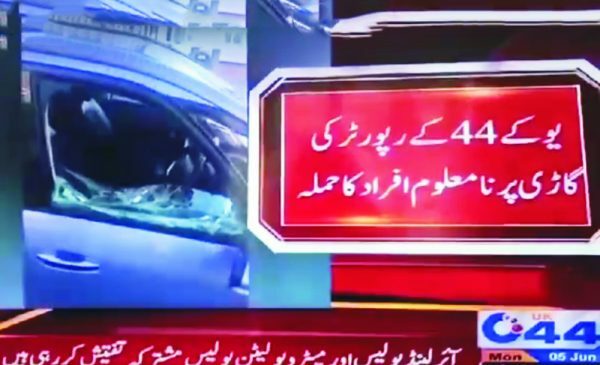 He said neither he had personal enmity with anyone else nor his press club was pursuing such policies. 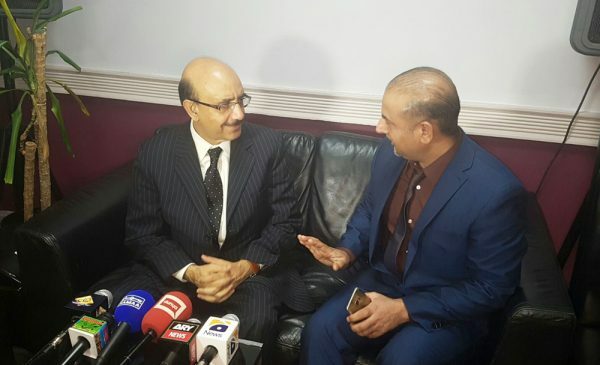 “We want to take every one with us and if there are some misunderstandings, these can be settled through negotiations,” he added. 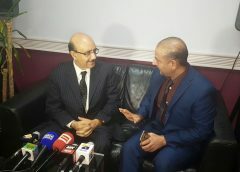 Rachyal said one thing was sure that they won’t compromise on principles nor they would allow someone else to do that. The PPC UK was not a personal property of anyone else. “Let’s set an example for others by forging unity among our ranks, “Rachyal said. 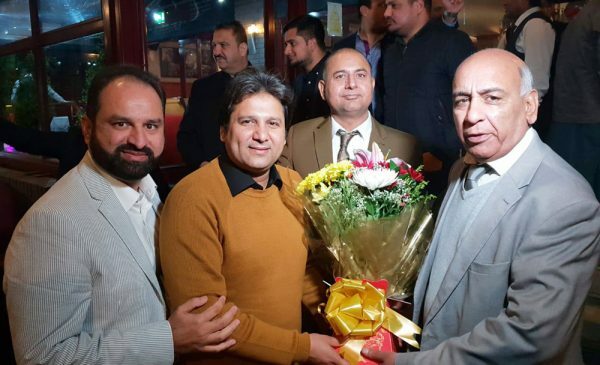 At the end, he expressed his gratitude for host Haji Zulfiqar Ali. Muhammad Fayyaz Bashir recited verses from holy Quran. 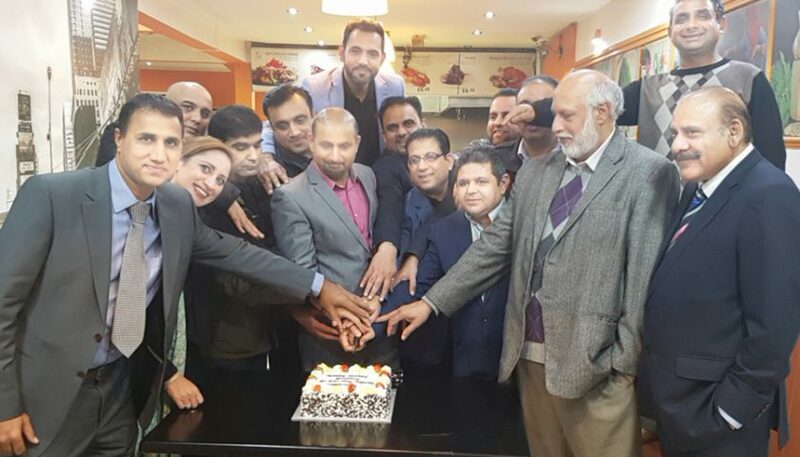 The dinner was also attended by club’s vice president Waseem Chaudhry, president Manchester branch Majid Nazir, secretary general Ishaq Chaudhry, Senior Journalist Saqib Raja, Nadeem Irshad, Muslim Conference UK’s president Chaudhry Bashir Ahmad, Tehreek-i-Insaf UK’s coordinator for Barrister Sultan Mehmood, Shahnaz Siddqiue, Raja Azhar Mehmood, PTI’s Chaudhry Imran, Ch Nadeem, Naeem Chohan, Ahsan Ahmad and patron-in-chief of PPC UK’s Bradford Branch Muhammad Mehrban.